Okanda Malai, a remote rock-hill on the coast at the intersection of the Eastern and Southern Provinces, has been referred by tradition as one of the places where Emperor Ravana halted for worship on his journeys from Lankapuri to Koneswaram. The theme of taking rest is reflected in the name Ukantai, for it is said that here Lord Murukan and others 'sat down' (utkantār) and rested. At the foothill of Okanda Malai is the Vêlāyuta Cuvāmi or Kanta Cuvāmi Temple, dedicated to God Skanda. Here the Murukan temple is at the foot of the hill, while his sweetheart Valli occupies the peak. Okanda Hill top has by long tradition been cited as one of the places where a divine katir (ray) from Lord Skanda struck. 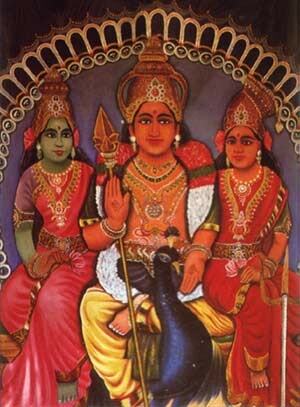 Veddas preserved the sanctity of the place with a simple shrine of stick and ola leaves. According to another tradition, the third ray from Vākura Hill reached here and came to rest on this hilltop, making it a favorite site for Murukan worship. There is yet a third myth according to which, Valli and Murukan arrived in separate stone boats (which still rest on the beach) to reside on top of the Ukantai Malai. 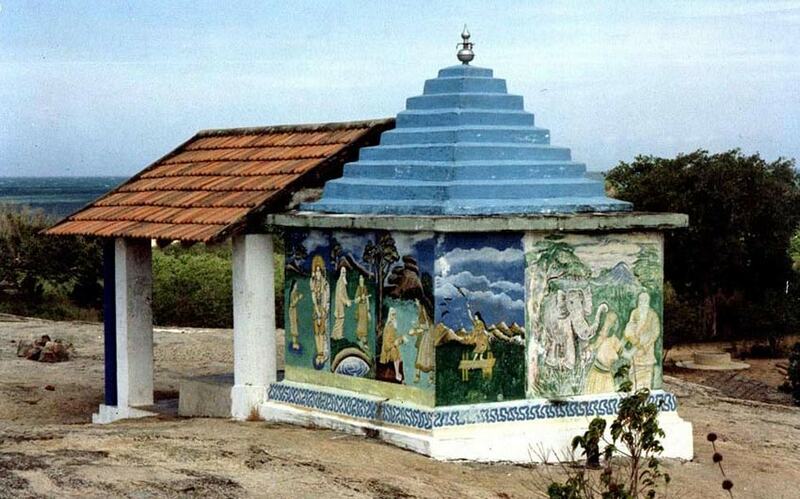 The temple is located along the eastern shores of the country, along which the pilgrims walk to Katirkāmam. In places like Pānama and Kumana, which are close to Ukantai, Tamils and Sinhalese lived in harmony even down to the present.